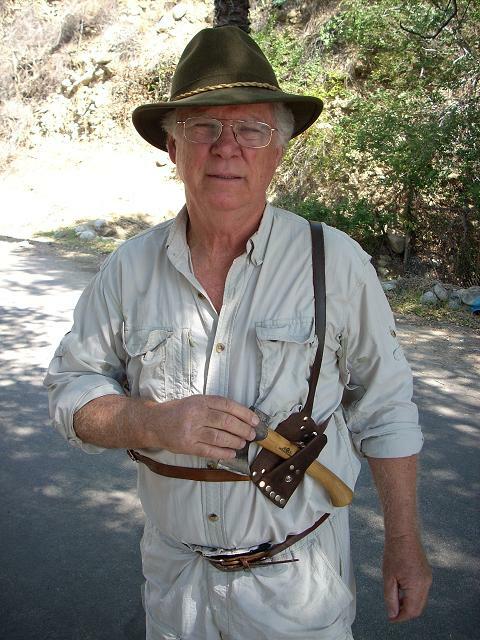 I had plans to meet two friends in Altadena at 11am. 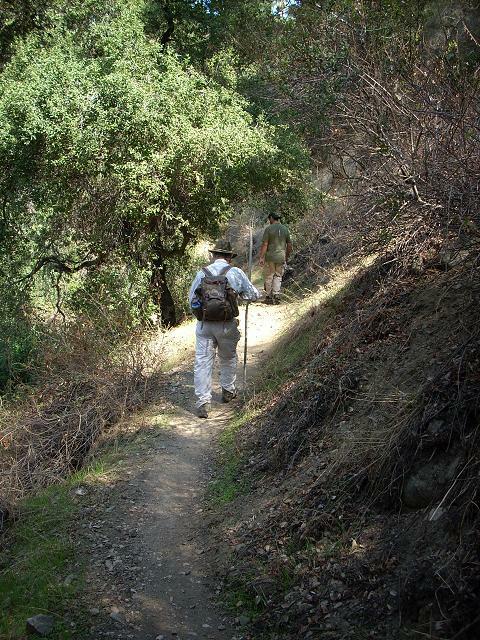 But my vacation is short and I am not inclined to waste time which could be better spent hiking. So I left my sister's home early in the morning and drove to the Millard Canyon trailhead. 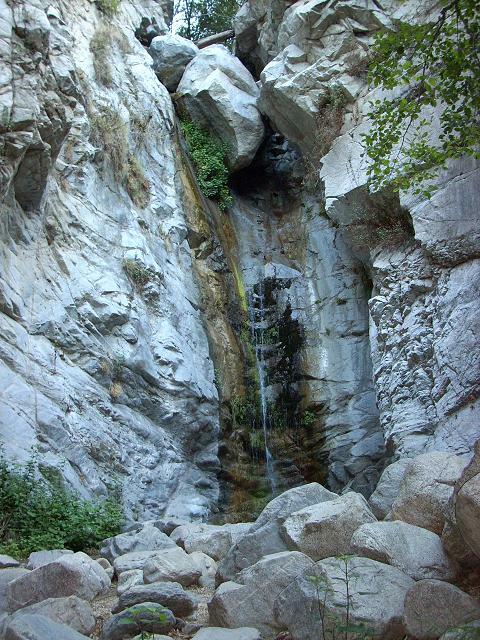 I took a short hike up the canyon, past the campground, and to the waterfall. 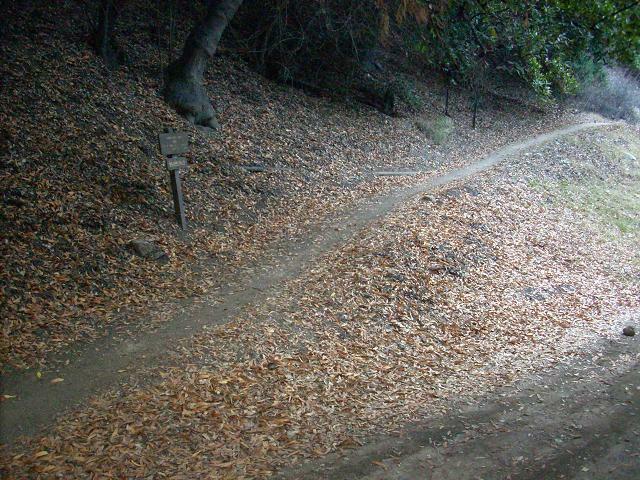 I returned to the campground and seeing a trail sign and an unknown trail, I decided to go for it. 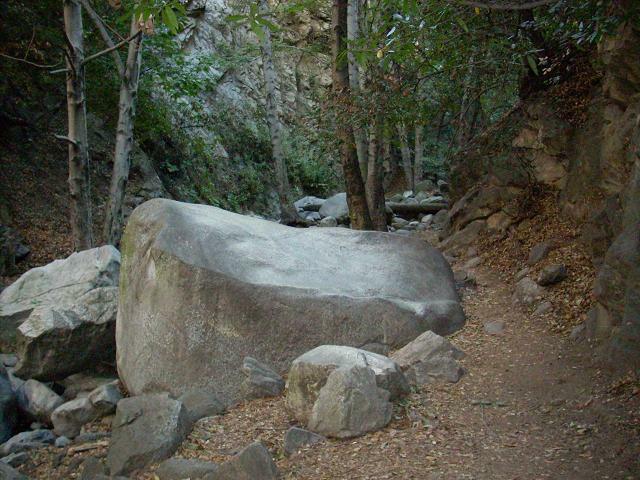 I followed the Sunset Canyon trail to the Mt. Lowe Road and enjoyed a view of the L.A. basin. I then returned to my car by the way I came. I then drove to my friend's home. Alan Halcon, Dude McLean, Christopher Nyerges and I visited for a couple of hours, swapping stories. 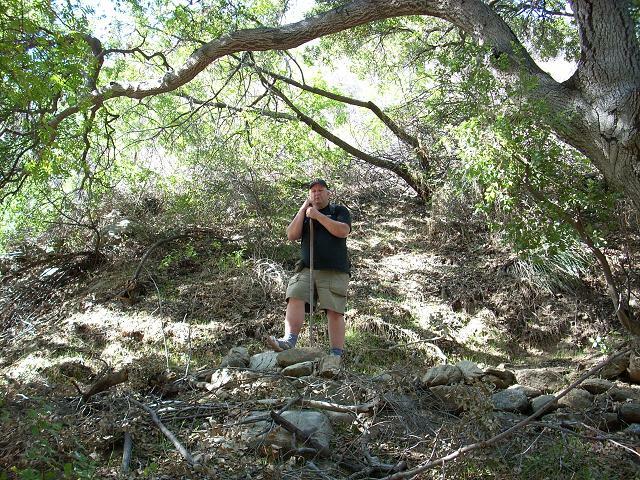 Then Alan, Dude and I went for a short hike up the Arroyo Seco. Regrettably, Christopher was unable to join us. We hiked about four miles total. 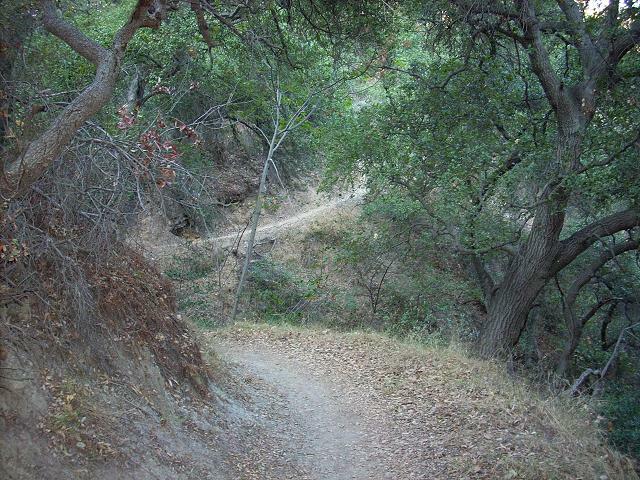 Combined with the four miles I hiked in the Millard Canyon area, it was an eight mile day. And a beautiful one at that! This is my rental car at the parking lot. Mine was the only car there when I arrived. 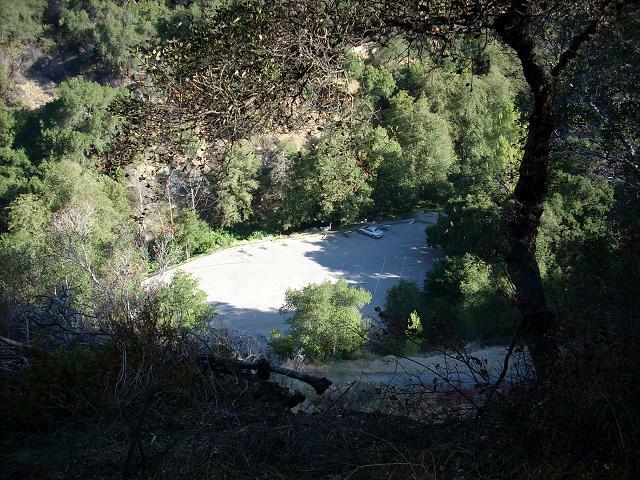 To reach the parking lot, take Loma Alta Drive in Altadena to Chaney Trail Road. Chaney Trail Road is windy, narrow and in some places steep, but it is short: it ends at the parking lot after about two miles. Note: Chaney Trail Road is open from 6am to 10pm only. 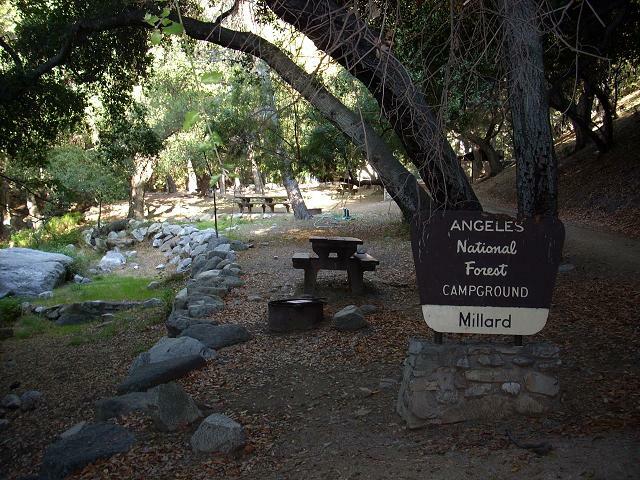 Millard Canyon campground is only about 100 yards from the parking lot. Couldn't be easier. 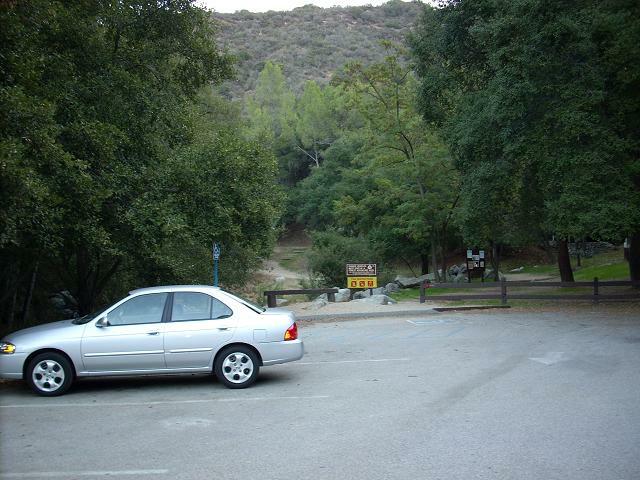 It is a nice, but small, campground. 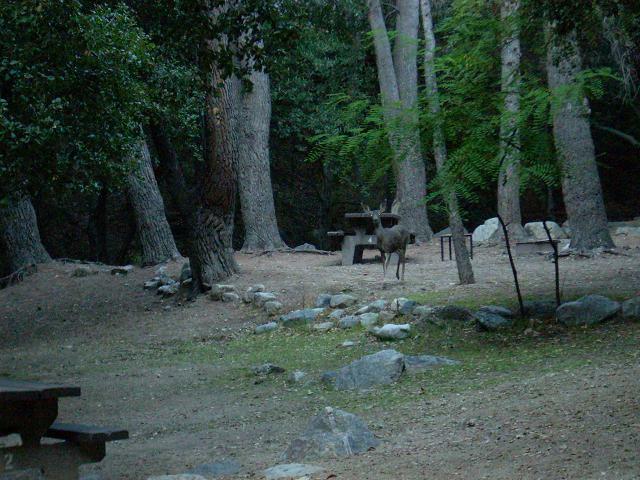 I saw this young deer in the campground. 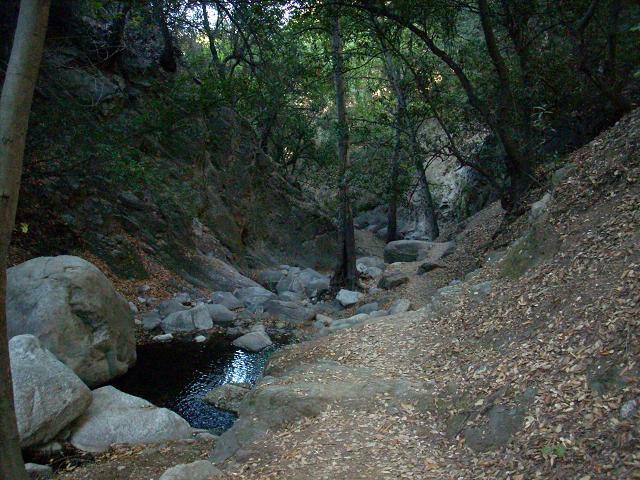 Follow the road through the campground and then turn right at the first water and head up canyon to the waterfall. 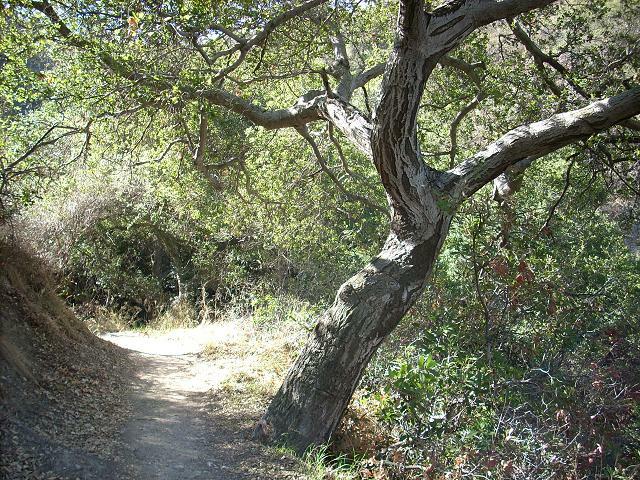 The trail is relatively easy. There is a minimum of boulder hopping. There are several nice pools along the way. 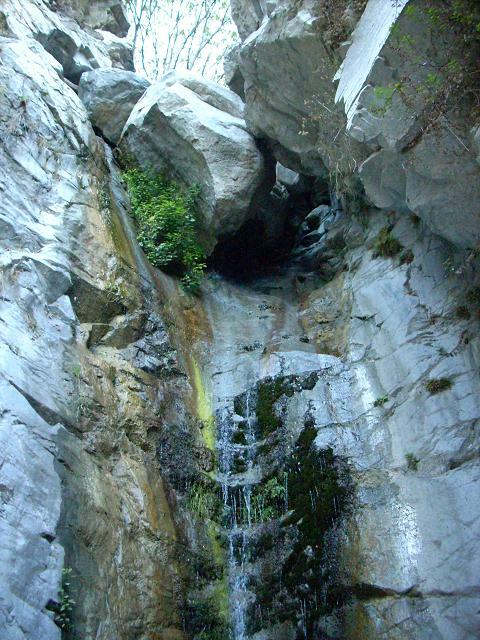 The waterfall is less than a mile from the campground. I don't know how high it is: I'd say it's about 70-80 feet. I bet it's spectacular when there is a lot of water. 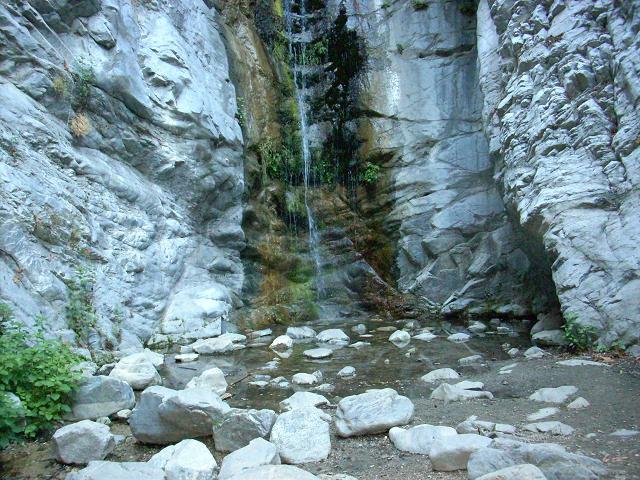 There wasn't a lot of water in the pool at the base of the falls, but it's been a very dry year and it is October. The large rocked wedged at the top of the falls is about the size of my car. I wonder how long it has been there? More interesting, how much longer will it stay there? Beautiful trail back. 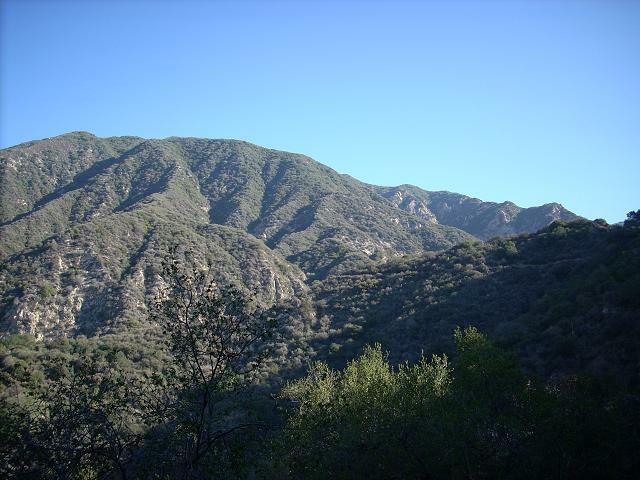 I love the canyons of the San Gabriel Mountains! This rock is about the size of a small room. Oh, the power of God! 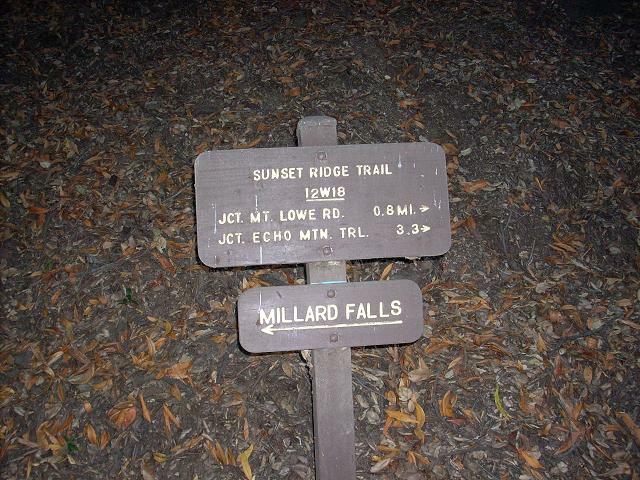 I often take pictures of trail signs for planning future trips! Like I said, I love these canyons! 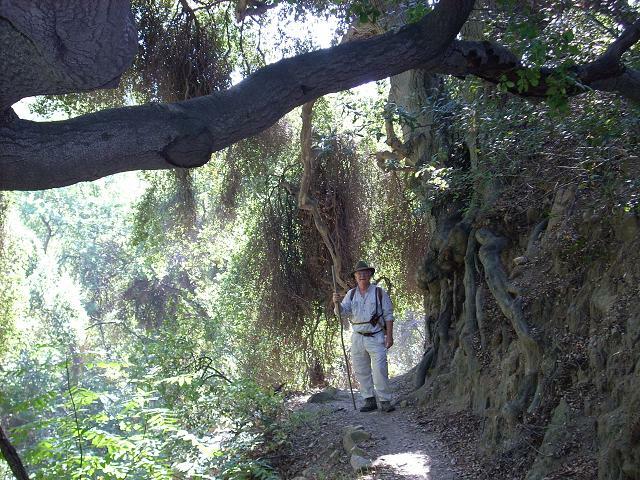 Always a pleasure to hike on the shady side of a chaparral covered slope! I'm not sure, but I think that is Brown Mountain. 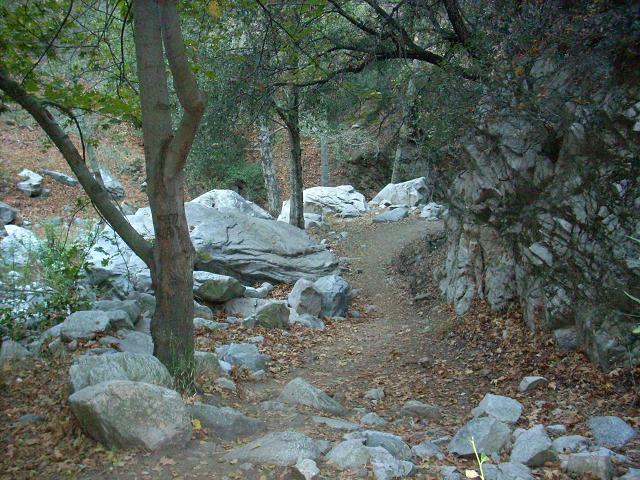 The trail winds around the side of the hill and above the parking lot. 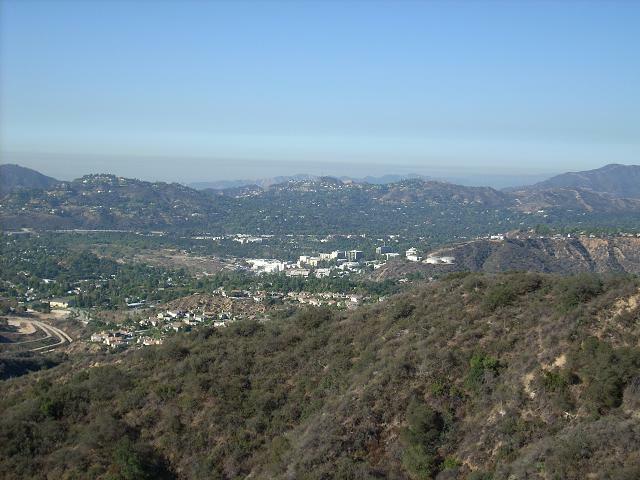 A beautiful view of Jet Propulsion Laboratory from Sunset Ridge. My time was limited, so I turned around here and headed back to my car. After leaving Millard Canyon I drove to my friend's home. 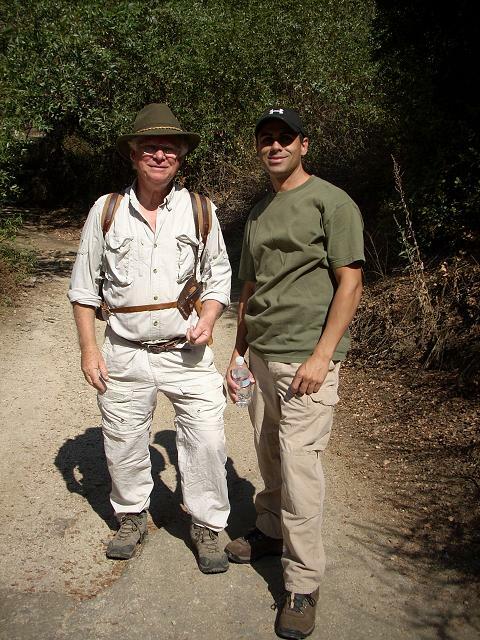 Alan, Dude and I took a walk up the Arroyo Seco. 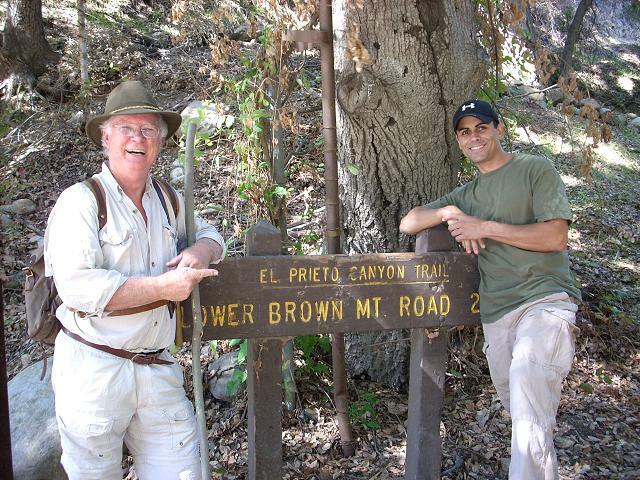 Rather than go to Gould Mesa, we took the dirt road towards Brown Mountain. 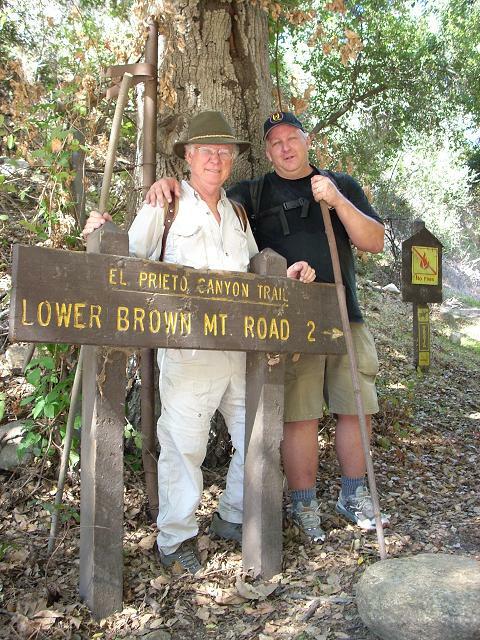 When we came to the El Prieto Canyon trail, we took that for about a mile. We then turned around and headed back. 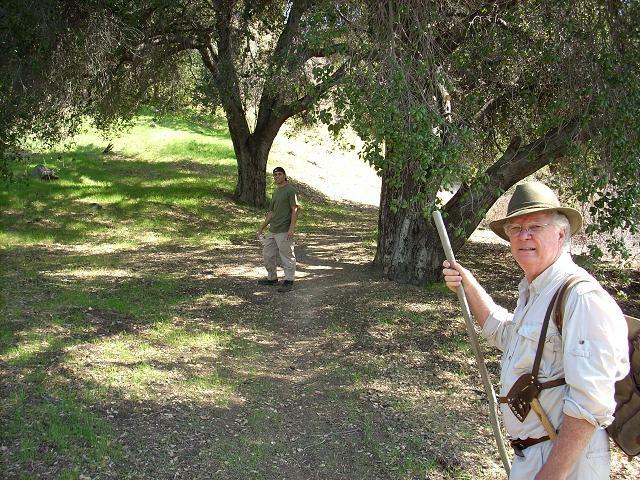 Dude and Alan in the Arroyo Seco. We always discuss gear whenever we get together. 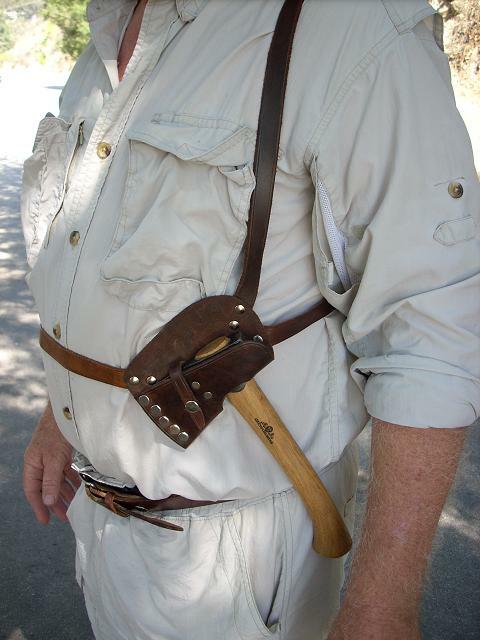 Dude showed me a shoulder-harness sheath a friend made for him for his Gransfors Bruks ax. Very nice! Dude prefers the small ax to a large knife. With this harness, he hardly knows he's carrying it, and it does not interfere with carrying his pack. 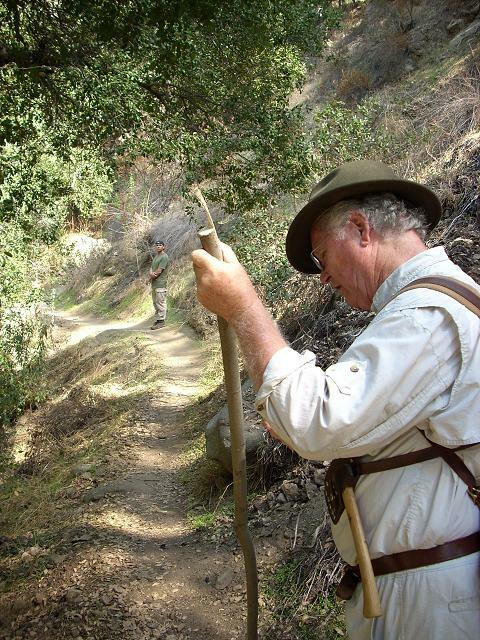 Stopping to smooth the sides of an improvised hiking staff. Nice trees. 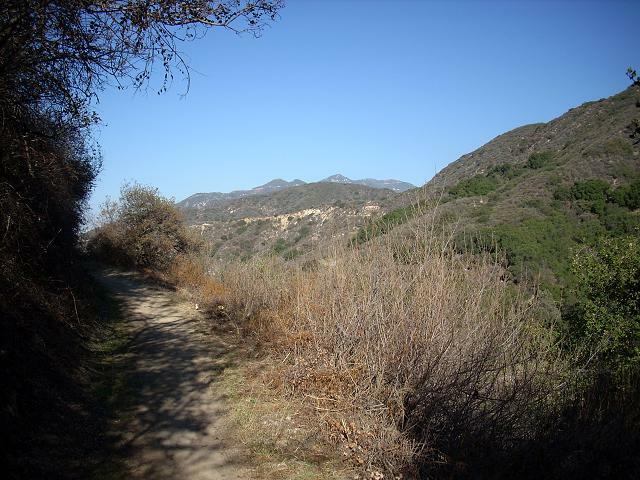 We turned around shortly beyond this point when the spur trail we were on ended at what appeared to be private property. We saw this tree on the way down. Bizarre root structure. I wonder which is older: the tree or Dude? It's been suggested that Dude is older than dirt, so I guess he came first. Thanks guys, for a great day!